Home Art The Hammer Museum Is Tapping Into Local Talent with Made in L.A.
It’s Made in L.A. time at the Hammer Museum, meaning more than 30 emerging artists (and a few seasoned ones) take over its galleries through September 2. Let us be your tour guide. 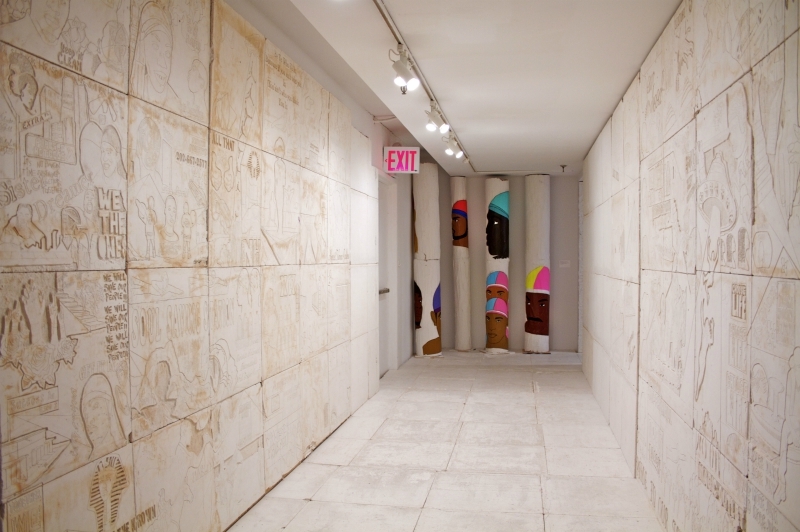 Diedrick Brackens uses tapestry to tell stories of race, sexuality, and the South. Here, the 29-year-old Leimert Park-based artist walks us through the creation of The Decadence of Silence (above) from start to finish. Made in L.A. curators Anne Ellegood and Erin Christovale on how they chose three of this year’s participating artists. The Piece: The Crenshaw District Hieroglyph Project (Prototype Architecture), a series of panels (detail above) depicting imagery and text Halsey sees around her neighborhood. 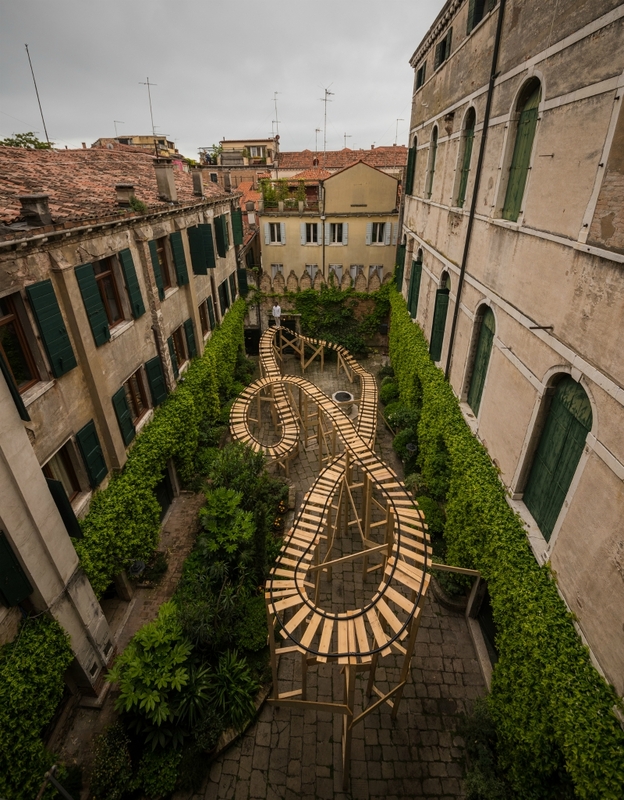 The Piece: Faultline, a sculpture that winds through the museum’s courtyard and terrace. The Piece: Excellentia, Mollitia, Victoria, a performance and multimedia installation that speaks to a series of laps Hill ran around his former schools. Meet four of this year’s standout female artists: two who are embarking on the road to stardom and two who are basking in mid-career fame. BORN IN: Anchorage, Alaska; 1983 LIVES AND WORKS IN: Inglewood HER INSPO: A lot of Gale’s art focuses on rock and roll and its relationship to protest—how social justice often stems from creative rebellion. As for materials, she’ll take anything that’s associated with making noise (guitars, XLR cables) and juxtapose it with things that muffle noise (towels, earplugs). HOW SHE GOT IN THE SHOW: Gale impressed curator Anne Ellegood with her MFA show at UCLA. Her Made in L.A. piece is an extension of her schoolwork. WHAT SHE HAS IN STORE FOR MADE IN L.A.: Think of it as a quiet riot: Gale has created a sculpture that incorporates a music stand, a mic stand, a guitar stand, and acoustic foam. It’s fastened to the wall with metal that resembles police barricades. BORN IN: Chicago, Illinois; 1985 WORKS IN: El Sereno HER BRIGHT PALETTE: Quarles often depicts figures in oranges and yellows and purples to mask their gender and race (so viewers can’t make assumptions about them). As a black woman with fair skin, she’s often mistaken for white; her paintings grapple with questions about outward appearance and representation. HOW SHE GOT IN THE SHOW: She re-created her MFA thesis show from Yale, It’s Gunna Be All Right, Cause Baby, There Ain’t Nuthin’ Left, in Frogtown in April 2017. But she caught the eye of Hammer curators Ellegood and Erin Christovale long before that. 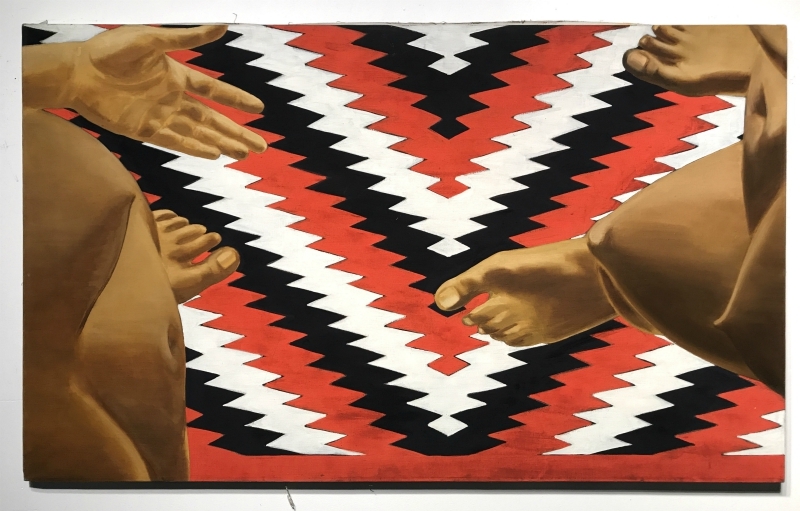 WHAT SHE HAS IN STORE FOR MADE IN L.A.: A number of paintings in her signature palette, each showing several bodies entwined in intimate spaces. BORN IN: London, England; 1978 WORKS IN: Chinatown HER M.O. : Caycedo, who’s Colombian, focuses on water rights: the displacement, violence, and pollution that occur in Colombian fishing communities when waterways are dammed for industrial use. WHERE YOU’VE SEEN HER: Since 2012 she’s been working on a project called Be Dammed. Components of it—like a book whose pages fold together to create a serpentine map—were on display at LACMA as part of Pacific Standard Time, the multimuseum showcase of Latino/a and Latin American art. WHAT SHE HAS IN STORE FOR MADE IN L.A.: Cosmotarrayas is a series of hanging fishing-net sculptures, each studded with objects like sandals, clothing, and even bottles filled with water from Colombia.